A gang of drug dealers who were involved in a massive drug smuggling operation have been jailed. Fourteen men, who previously admitted a string of offences, were sentenced to a total of more than 100 years in prison at Preston Crown Court. Police said Martin Day, 40, of Hapton, Lancashire, "headed a highly organised and experienced crime group" which sold class A and B drugs in north England. Officers claim they made more than £25m but that was disputed by the defence. Just over £1m of drugs were seized by police after the gang was kept under surveillance for a year. Det Sgt Ian Whitehead, of Lancashire Police, said: "The drugs seized are the tip of iceberg. "We would estimate this group were involved in hundreds of kilos across the north of England. "In fact they flooded the streets of Lancashire and the north of England with cocaine, amphetamine and cannabis." Day was jailed for 16 years after admitting conspiracy to supply cocaine, conspiracy to supply amphetamine, and two counts of conspiracy to supply cannabis. Day's right hand man, Carl Williams, of Accrington, negotiated with clients and managed the gang's hierarchy to ensure drugs were collected, stored and distributed, police said. The 28-year-old admitted conspiracy to supply cocaine and conspiracy to supply amphetamine and was jailed for 13 years. Martin Carroll, 36, of HMP Preston, pleaded guilty to conspiracy to supply cocaine, conspiracy to supply amphetamine and two counts of conspiracy to supply cannabis and was jailed for 10 years. 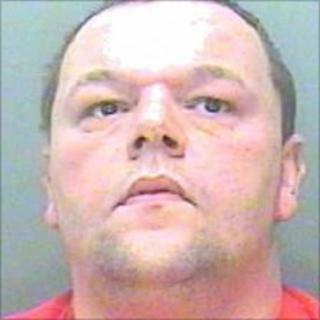 David Linacre, 40, of Edward Street, Rishton, was jailed for 11 years after admitting conspiracy to supply cocaine, possession of amphetamine with intent to supply, possession of a prohibited firearm, and possession of ammunition without a firearms certificate. Ten other gang members received sentences ranging from a 12-month prison sentence suspended for two years and community work to nine-and-half-years in prison.